Geoff May (99) in action on his EBR 1190RS at Homestead-Miami Speedway. Photo by Lisa Theobald, courtesy of CCS Florida. Geoff May won the Unlimited Grand Prix race during the CCS Florida regionâ? 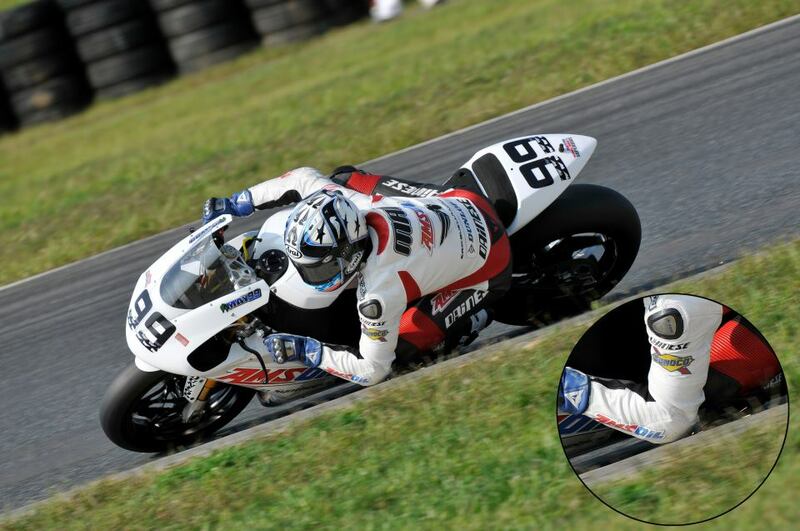 ?s season finale at Homestead-Miami Speedway and set a new track record with his EBR 1190RS. May first broke the track record during a practice session and then several more times during the Unlimited Superbike race. May led the Unlimited Grand Prix race from start to finish, widening the gap on the rest of the field with each completed lap. Behind him, Santiago Villa and Cory West battled for second place with Villa maintaining the advantage. It was during the second lap of the Unlimited Grand Prix race that May turned his fastest time of the day, 1:23.131, setting a new record and unseating Jeff Woodâ? ?s two-year standing, best time of 1:23.556. May was a four-year lap record holder at Homestead-Miami Speedway from 2004 until 2008, when Jeff Wood beat his 1:24.373 lap time. UNLIMITED GRAND PRIX RESULTS: 1. Geoff May (EBR 1190RS); 2. Santiago Villa (Suz GSX-R1000); 3. Cory West (Suz GSX-R1000); 4. Jeff Lampe (Kaw ZX-10R); 5. Benny Solis, Jr. (Suz GSX-R600); 6. Felipe MacLean (Kaw ZX-10R); 7. Jake Lewis (Suz GSX-R600); 8. Stephan Bodedi (Yam YZF-R1); 9. Ken Wilson (Yam YZF-R1); 10. Eric Haugo (Suz GSX-R1000).